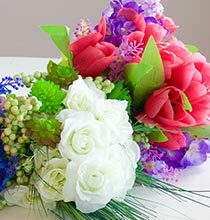 Home » Weddings » Bouquets and Floral Arrangements for the Big Day! 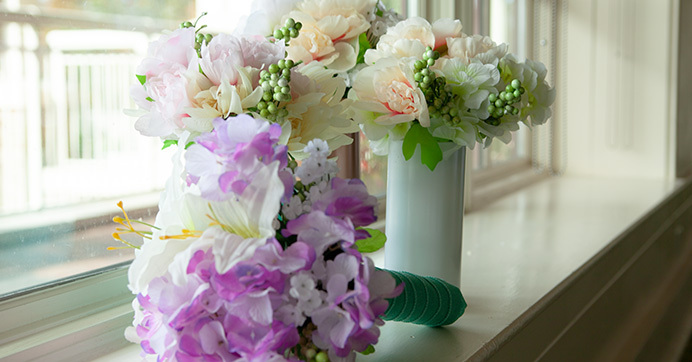 Real flowers can cost a fortune, especially when it comes to weddings… am I right? That’s why when I got married, I decided to incorporate faux flowers into my décor. I went to my local Dollar Tree because they have a phenomenal selection of floral and craft supplies that helped beautify my wedding reception without sacrificing my budget. Listed below are a few ways I incorporated them into my reception! 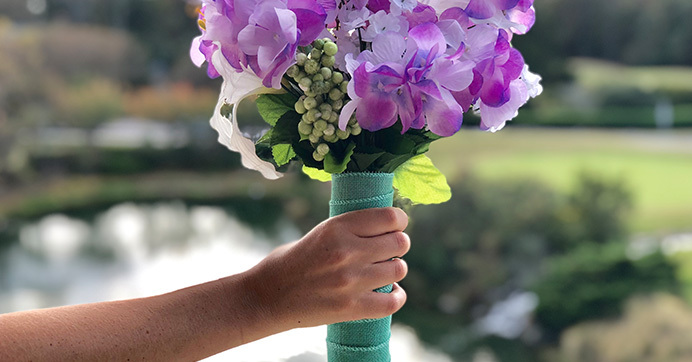 Since Dollar Tree has a wide array of colorful faux flowers it makes it easy to create gorgeous floral arrangements and centerpieces to match your wedding colors. Find flowers that have hints of your matching colors however, don’t go too bold. Hints of color will make your centerpieces look more elegant. Be sure to cover those flower stems because you want your flowers to look as real as possible. You can also do this with customized vases! 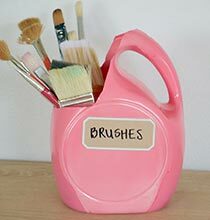 Using paint, glitter, or spray paint, you can easily make personalized sophisticated vases without spending a fortune. 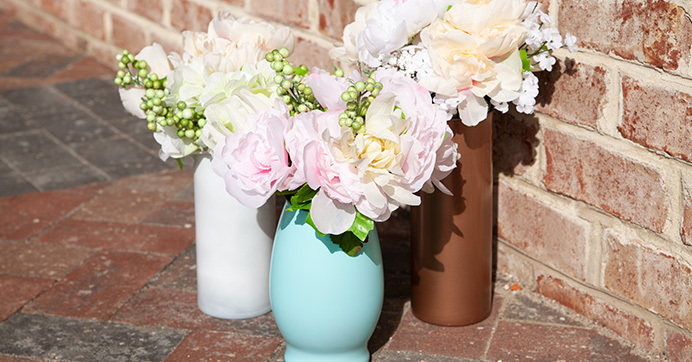 Again, you can create vases that tie in with your theme or match your wedding colors plus, it will cover those faux flower stems. Don’t want to toss away that expensive bouquet? Create a look alike for your bouquet toss so you can save the real one! It’s as simple as crafting together floral and art supplies. Here’s a quick tip: use a paper towel roll for the handle! There you have it! Just a few simple ways you can save on flowers for your big day. 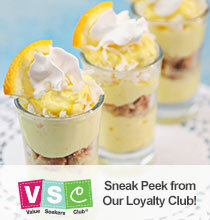 Looking for more frugal ways to save on your wedding? Check out these affordable wedding favor and gift ideas!